A dinner party takes a series of increasingly sinister turns. "The dinner party has proven a fertile setting for a host of great movies. 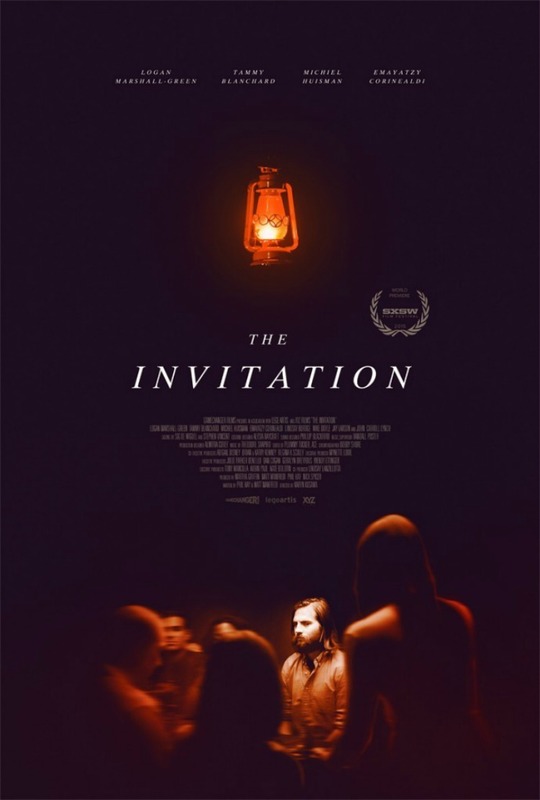 Karyn Kusama's engrossing new psycho-drama, The Invitation, is in heady company, but holds its own at the table. If you're offered a chance to see it, accept that invite." The dinner party has proven a fertile setting for a host of great movies. Renoir and Bunuel used such gatherings to examine class in The Rules of the Game and The Discreet Charm of the Bourgeoisie. The latter director also gave us The Exterminating Angel, which sees a group of guests unable to leave their party despite all efforts, an idea given a sci-fi twist in this year's underseen gem Coherence. In Hitchcock's Rope, a dinner soiree is thrown by an arrogant pair of killers, their victim's corpse concealed under the very table from which drinks are served. Karyn Kusama's engrossing new psycho-drama, The Invitation, is in heady company, but holds its own at the table. Will (Logan Marshall-Green) and his girlfriend Kira (Emayatzy Corinealdi) arrive at his former home - now occupied by his ex-wife Eden (Tammy Blanchard) and her new husband David (Michiel Huisman) - for a dinner party, the first time Will, along with the other guests, has seen Eden in two years. The couple had initially split following the death of their son, and a subsequent suicide attempt on Eden's part, so Will is understandably uncomfortable. Further unease is stirred by the increasingly odd behaviour of Eden and David, who at first come off as a harmless pair of new age nuts, eager to spout cod-philosophical mumbo-jumbo about the healing process, but when a pair of guests unknown to the group - a dead-eyed flower child (Lindsay Burdge) and a quietly sinister bear of a man (John Carroll Lynch) - arrive, it's revealed that the couple have been inducted into a cult, through a process known as 'The Invitation'. As the evening progresses, Will becomes more and more paranoid about the motivations behind this gathering. The spirit of Polanski, both the filmmaker and the real life figure, roams the halls of Kusama's confined, claustrophobic setting. 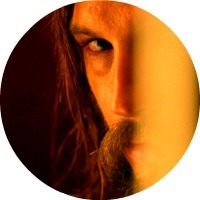 The Hollywood Hills location, coupled with Will's shaggy appearance, subliminally puts us on alert, recalling the Manson murders, which claimed Polanski's bride Sharon Tate. Like the Polish auteur, Kusama displays an ability to generate tension in limited confines, building up Will's paranoia by frequently viewing the other guests and his dubious hosts from his viewpoint. Phil Hay and Matt Manfredi's tight script feeds us just enough information to create suspense while maintaining mystery. At the heart of the movie lies a debate over the effects of religion and how to deal with those who seem to have sold out to a 'higher cause'. Eden's retreat into her cult is a coping mechanism for the death of her child, replacing grief with a somnambulist denial. Will sees this as a betrayal of his son's memory; he believes his child's mother should embrace grief as a way of tribute. His fellow guests share his mistrust of the situation, but keep their mouths shut, like so many of us do when it comes to dealing with fanatics ("Whatever works for them," is our common patronising refrain). Like most religions, this cult descends into violence as part of a grand plan, and a final twist sends you out of the theatre with a chill. At this point, The Invitation is without UK distribution, so if you're offered a chance to see it, accept that invite.